Your chicken coop is a place that contains nesting boxes for laying eggs and perches for roosting. Usually it is connected to a chicken pen by a small door. Nesting boxes with easy access. Enough perch space for each chicken(10"per chicken). Well insulated(cold climates). Before you run out and purchase your coop, please make sure you check with your city or town on local zoning regulations. Most zoning ordinances allow for small backyard flocks. But check first. Coop designs can be as simple as a wooden box or as elaborate as mini mansions. When building a coop, keep things simple. Choose a plan that is simple but functional, easy to build, and does not drain your wallet. By the way, if you are interested in just sticking your toe in the water you may want to start out small and invest in a chicken tractor. Sometimes called chicken arks, these are small portable coops usually for three to four chickens. For some people this may be all they want. It's fairly simple to maintain and should provide plenty of fresh eggs for two people. This is a great way to get started raising chickens without spending a whole lot of money. Do I purchase a coop that is already built or do I build one from scratch? Many people will tell you that anybody can do this, its simple and takes very few skills if you just buy their plans. I have been a builder for 15 years and one thing I have discovered is that some people do not have the skills needed to build a coop, on top of that those same people usually do not own the right tools to do the project. If you are one of those people then a pre-built coop is right for you. Even though you may spend a little more money, it is not worth your time, aggravation and frustration. Remember, this is a hobby and suppose to be a joy for the whole family. Now, for those of you up to the challenge of building a coop there are many things that will effect your appearance and design. Chicken coop designs are all over the internet. There are even some free coop plans, but be careful because these can sometimes cause you more aggravation than they are worth. Remember the old saying nothing is free in life. 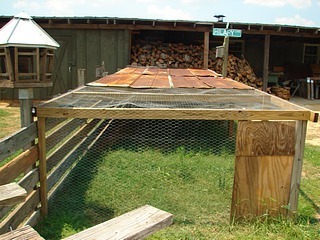 One of the main functions that your coop provides is protection from chicken predators. Whatever design you decide on, you must be sure that you make it sturdy enough to keep the guys listed on our chicken predators page out of the coop. You can help with this by checking for gaps in wire, putting good latches on doors, and wiring over the tops of your chicken pens. Building a chicken coop is the most difficult part of raising chickens, but it can also be one of the most rewarding. Once your coop is built you get to sit back and enjoy your new babies. What About Chicken Coop Plans? Have you been thinking about buying a set of chicken coop plans but aren't sure which ones to choose? Go ahead and click here to discover my findings. If you're looking for a quality set of chicken coop plans then take a look as I narrow it all down. Do you have pictures of your chicken coop? 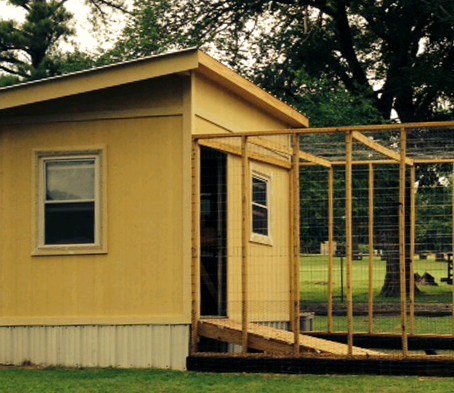 Do you have stories of how you built your chicken coop? If you do we would love-it, if you shared them with us. 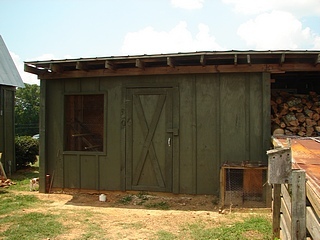 Put the "title" of your chicken coop story or picture here. What Other People Have Said About Building Their Chicken Coop.